We all know that water is crucial to our everyday lives, providing the hydration to live healthy, active lifestyles. But when it comes to actually drinking the recommended daily amount of water, sometimes life gets in the way. 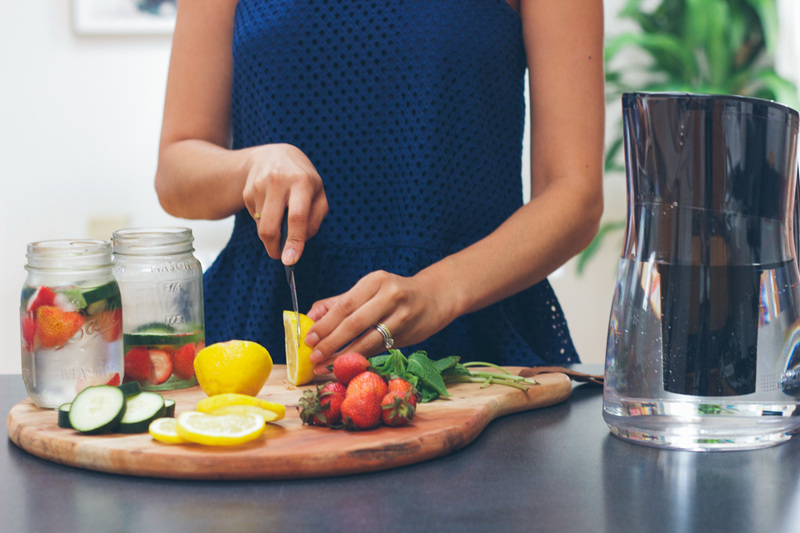 So today we’re sharing 25 delicious fruit infused water recipes that will make you desperate to have your daily dose of H2O. 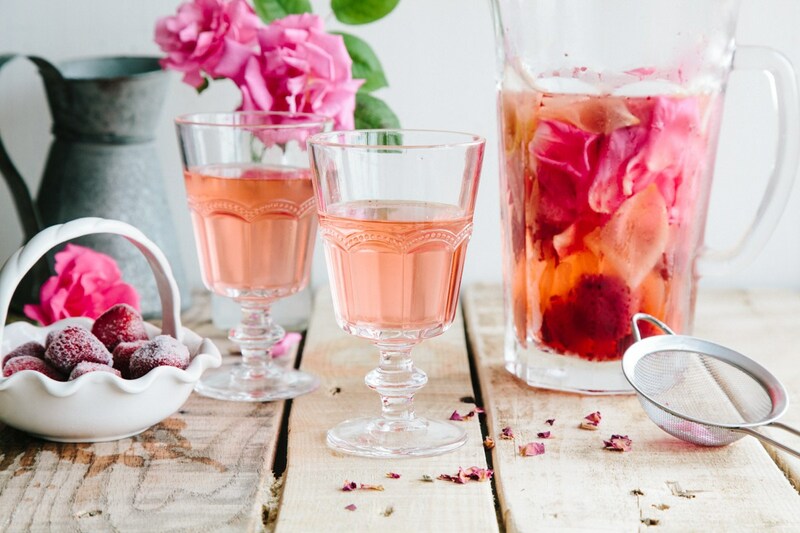 This first recipe is made with two classic infusion fruits, lemon and strawberry, and then a hint of rose is added by putting rose petals into the mixture. Let everything infuse overnight, and then chill to serve the next day. Head over to Wallflower Kitchen to check out the instructions. 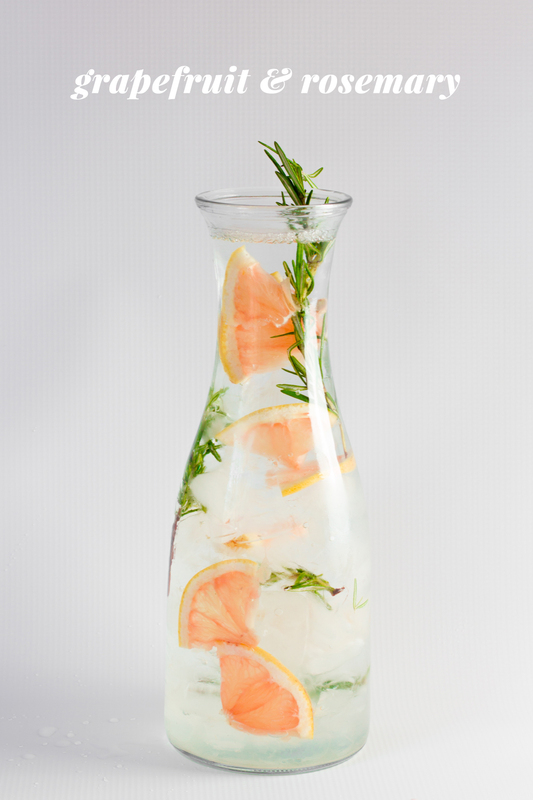 This post has three water infusion recipes, but my favorite is the grapefruit ginger combination. The spiciness of the ginger seems like it would pair so perfectly with the bittersweet grapefruit. Check out all three recipes over at Jojotastic’s blog. 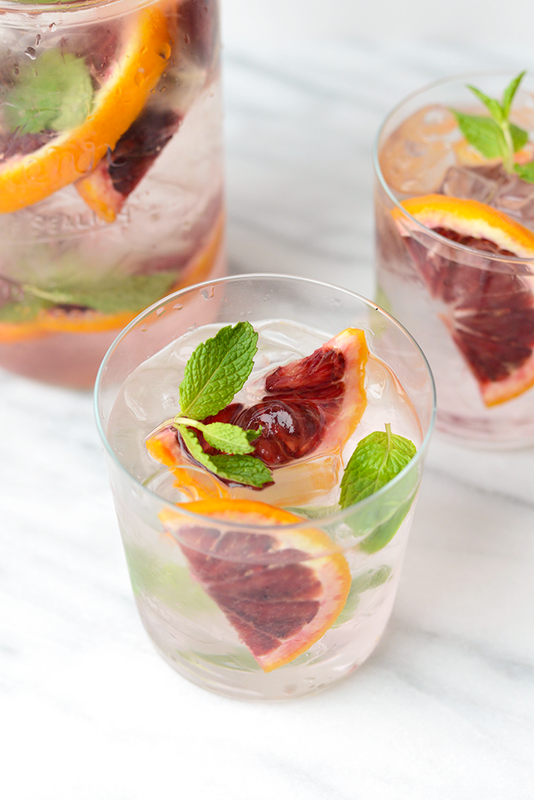 If you have a hard time drinking the recommended amount of water per day, then you might consider this recipe… because who wouldn’t want to drink something this pretty?! 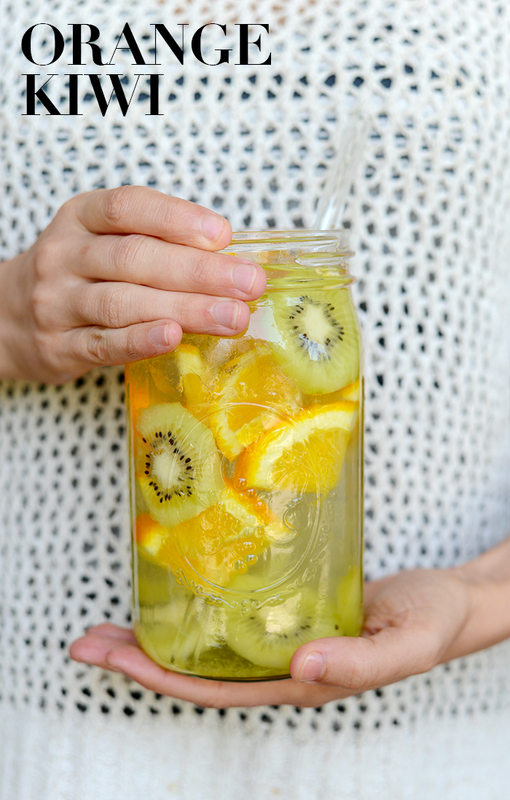 Head on over to Green Healthy Cooking to check out the recipe for this lemon and passionfruit infused water. 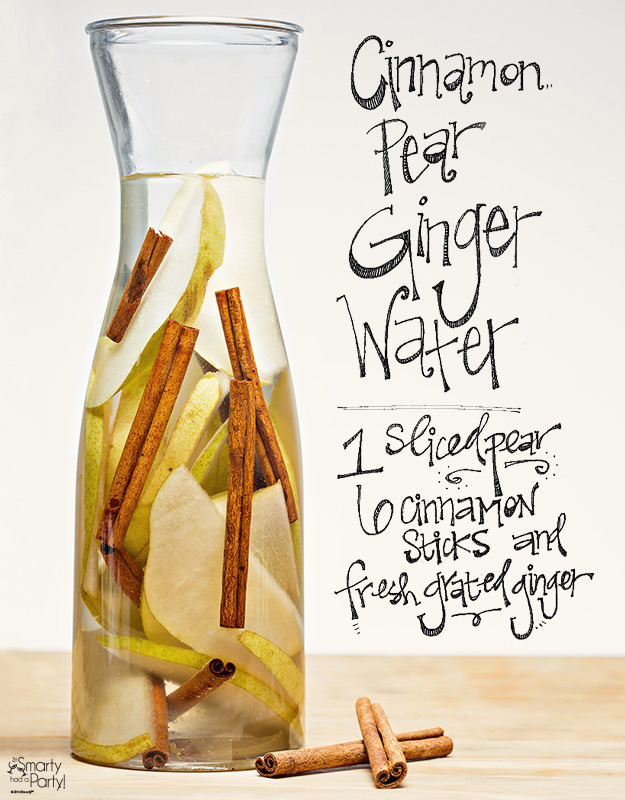 Here’s another great recipe that will help you trick yourself into consuming the recommended daily intake of H2O. This one includes an herby flavor thanks to the mint, while the strawberry and cucumber balance it out. Make your way over to Lows To Luxe to read more. This is a super colorful recipe which includes sweet mangoes along with strawberry and lime for a punch of citrus. And they even have a genius trick for removing the mango flesh from the skin… head over to Courtney’s Sweets to check out the details. This recipe is a feast for the eyes and the tastebuds, with a colorful combination of blood oranges and fresh green mint leaves. 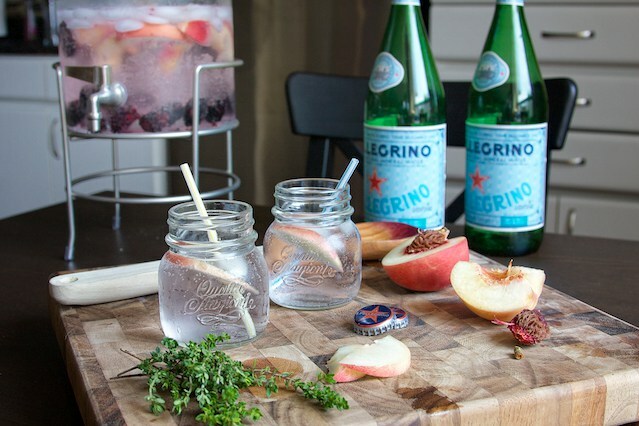 The flavor combo is both sweet and herby, and will surely get you to drink more water. Head over to Fit Foodie Finds to check out the recipe. 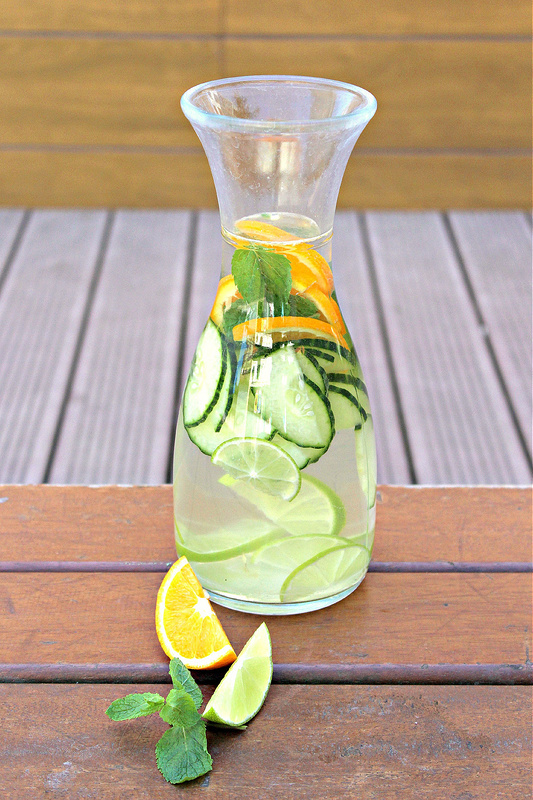 This refreshing water is filled with orange slices, lime slices and lots of cucumber which combine to make a super delicious summery treat to keep you hydrated. 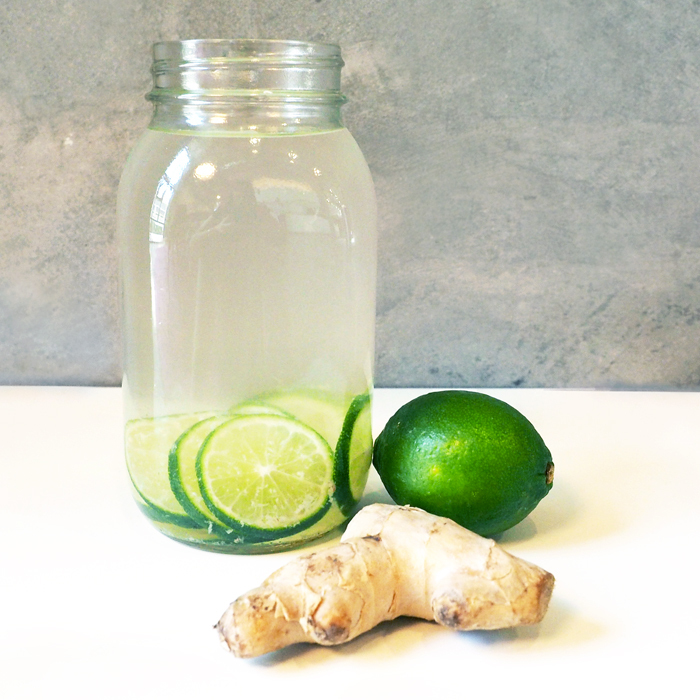 Make your way over to Miamivores to check out the full recipe for this yummy infused water. 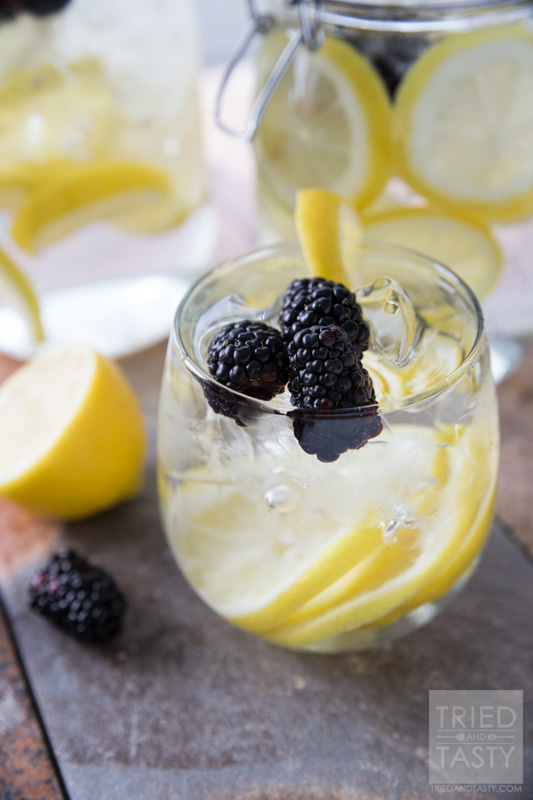 If you’re a fan of blackberries, then you’re bound to love this beautiful infused water recipe. 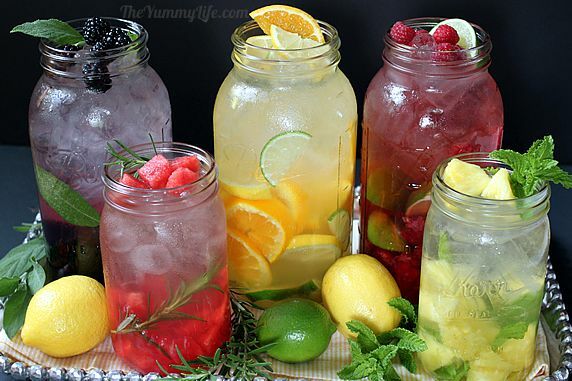 All you’ll need are sliced lemons and a few blackberries which you’ll then add to ice water. Easy peasy! Read all about this delicious combo over at Tried and Tasty. If you have kids who don’t love to drink water, keep them hydrated with this simple combination. 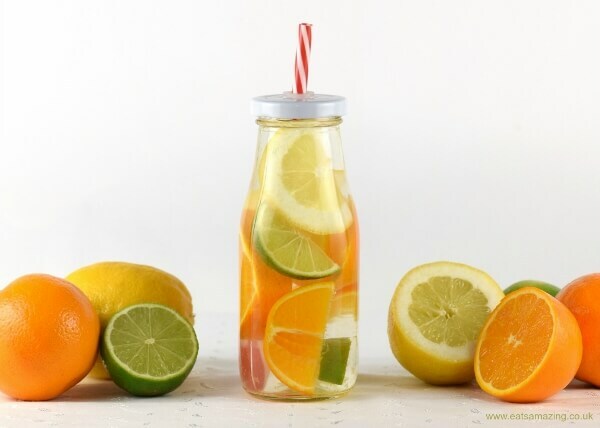 Just slice up an orange, a lime, and a lemon and let them infuse together for about ten minutes. Make your way over to Eats Amazing to check out the details. 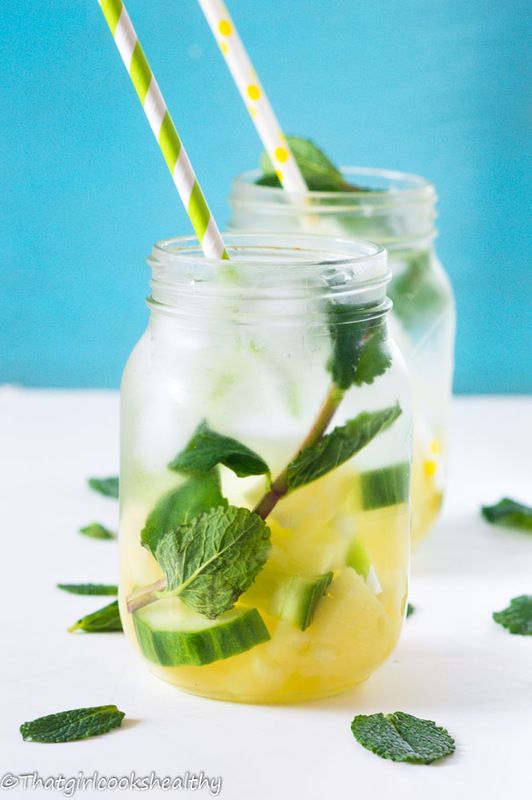 For a more tropical vibe, give this pineapple mint infused water a try. It also has some sliced up cucumber mixed in for an additional flavor profile. Make your way over to That Girl Cooks Healthy to check out the full recipe and lots more photos. 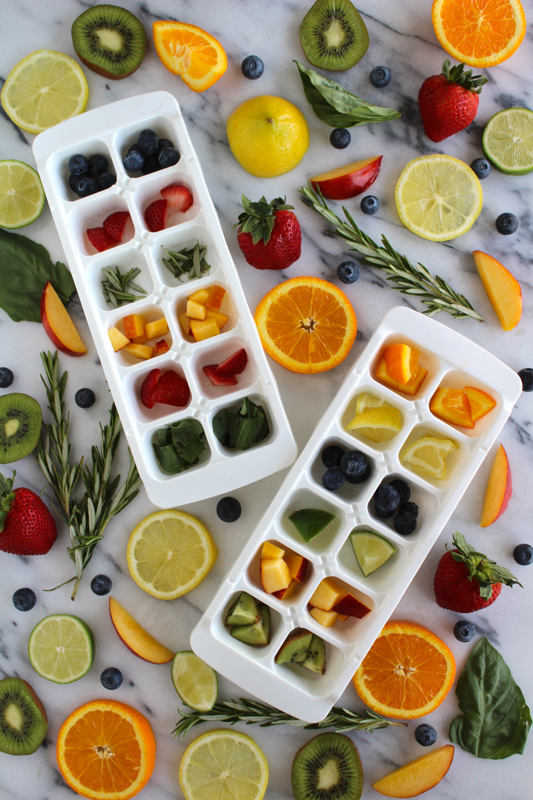 Here’s another way to infuse your water… with fruit ice cubes! This is a great solution because you can make a huge batch and then they will last for months to come and you can just pop a few in your water every morning. Head over to This Beautiful Day to learn more. 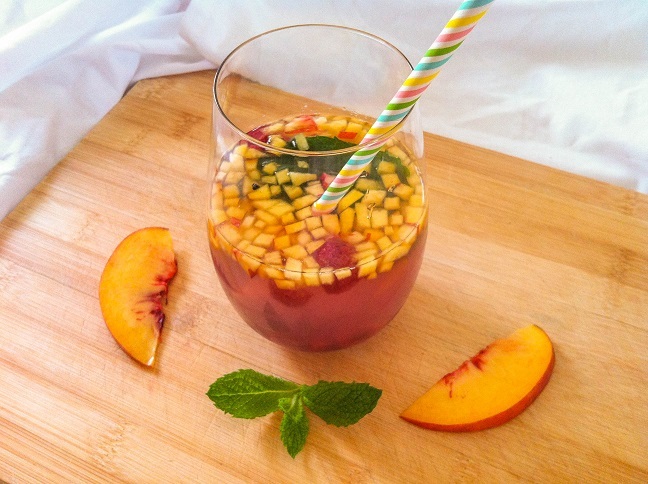 This delicious-looking infusion is made with fresh peaches diced up into tiny pieces, along with raspberries and mint. And the key to this one is to make it using coconut water instead of regular water for added health benefits. Learn more over at Cooking With A Wallflower. Here’s a unique combination… kiwi and orange! 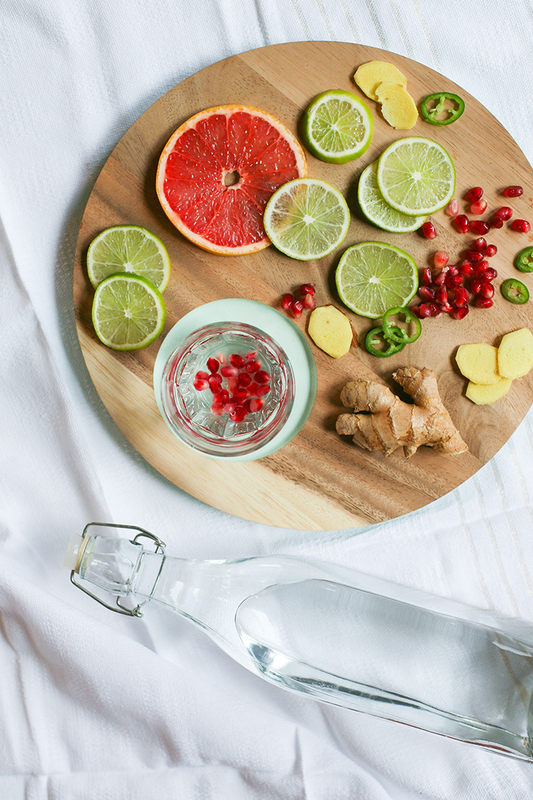 This one will have a bit of a tropical vibe, and the blog notes that it can either be made with regular water or sparkling water. Make your way over to She Uncovered to see this and lots of other fruit infusion ideas. 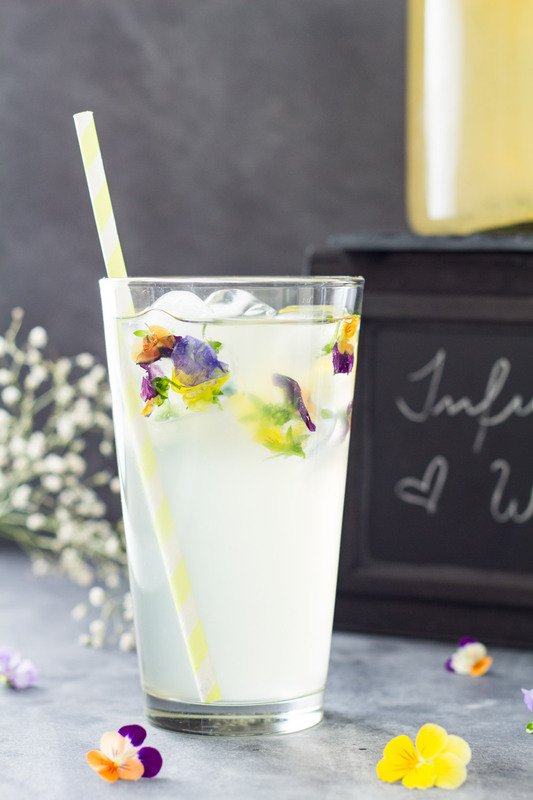 Here’s another infusion recipe that uses herbs, and this time they recommend making it with sparkling water for some extra pizzazz. The main ingredients for this recipe are peaches, blackberries and thyme. Find out how to make it over at Live Love Pasta. This article has a variety of different recipes, but the most interesting one was the watermelon and rosemary combination. This one is sure to give your taste buds a serious boost. Make your way over to The Yummy Life to check out all the different recipes. 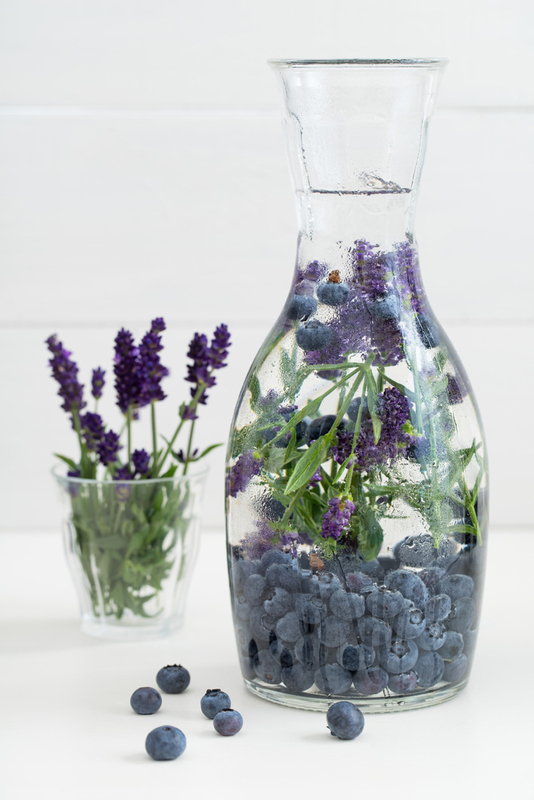 This pretty little infusion is made using blueberries and lavender, giving it a lovely color scheme that would convince anyone to drink more water. 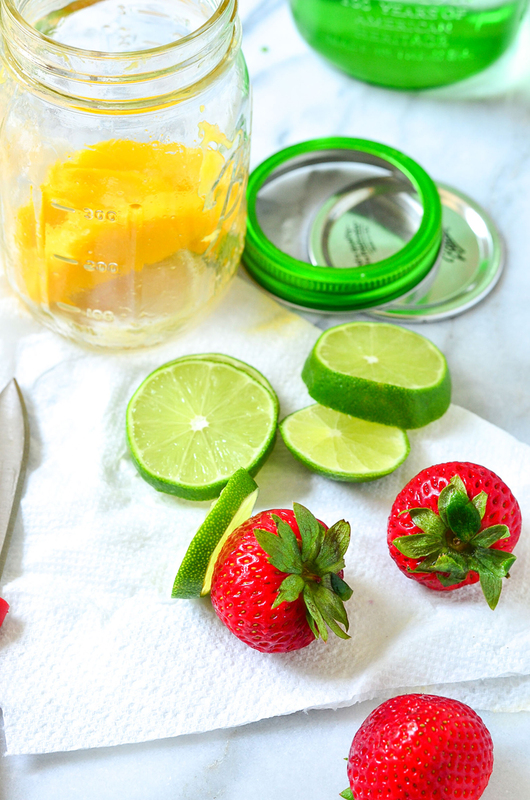 Make your way over to Enjoy Natural Health to check out the full recipe for this pretty fruit infusion. Here’s a unique one, made with cinnamon sticks to give it a spicy flavor perfect for fall or winter. It also has pears and lots of ginger which is incredibly good for your health. Head over to Cool Mom Eats to find out how to make this delicious mocktail-style drink. If you’re looking for a more tropical-style, summery drink, then this might be the one for you. It is made with fresh pineapple, slices of orange and plenty of grated ginger to up the health factor. Check out the full recipe over at This Mama Loves. 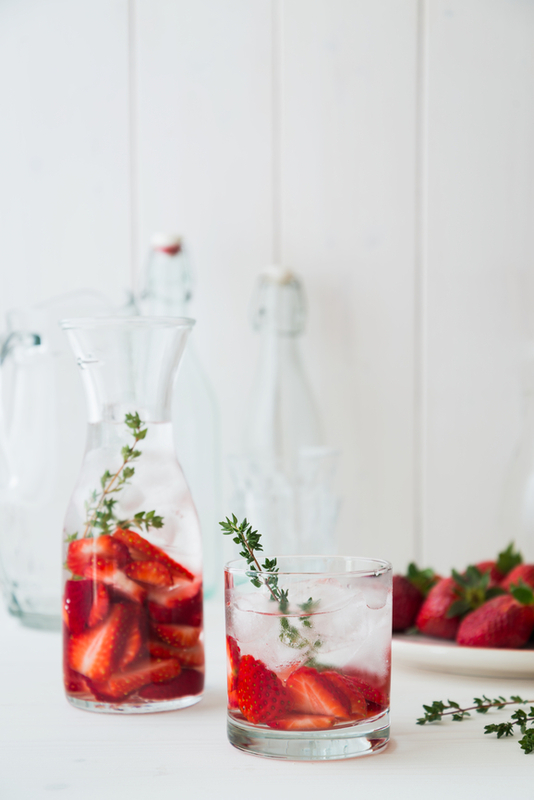 Here’s another beautiful fruit infusion, this time with sliced strawberries and sprigs of fresh thyme. This combination works well in the summer when these ingredients are in season. Head on over to Hot Beauty Health to check out this and lots of other combos. This one uses ginger too… are we seeing a trend here yet?! The key to this one is to slice up lots of lime and then add fresh grated ginger to the mix. 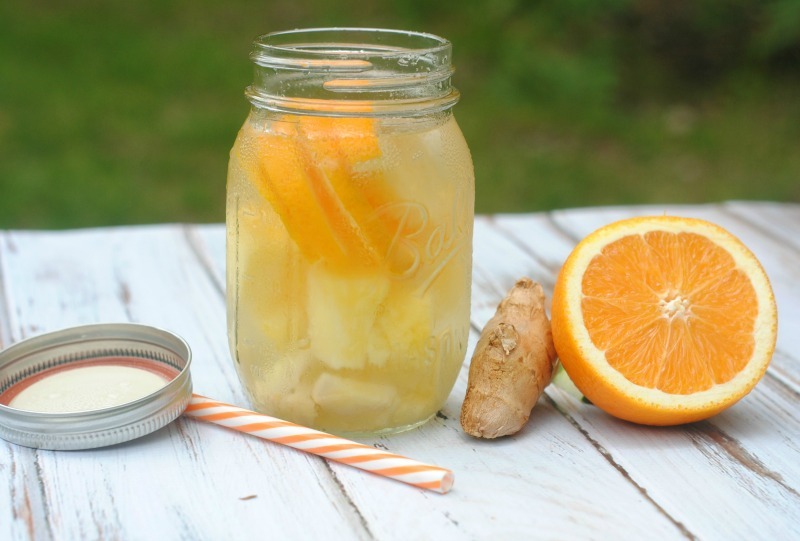 Make your way over to The Core blog by Fabletics to check out this and a few other infusion recipes. This recipe uses black cherries, a fruit we haven’t run across in many of the other water infusion recipes. The cherry mixed with the tart lime makes for a delicious combination. Head on over to Budget Savvy Diva to check out all the details. 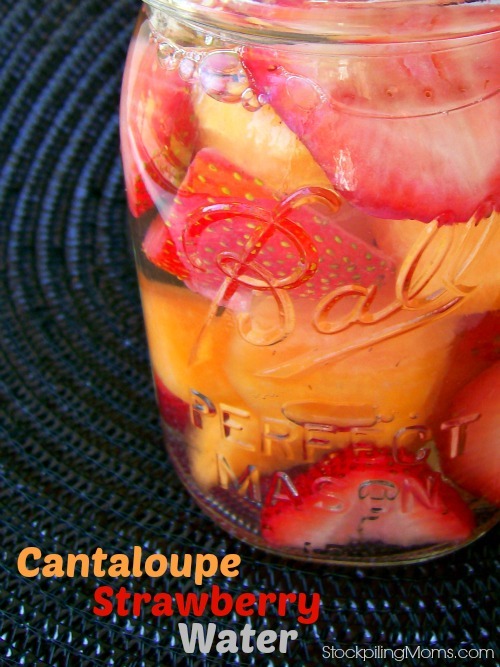 Here’s another unique combination – cantaloupe and strawberry! Melon makes for a summery, fresh treat and the somewhat tart strawberry adds depth to the flavor. 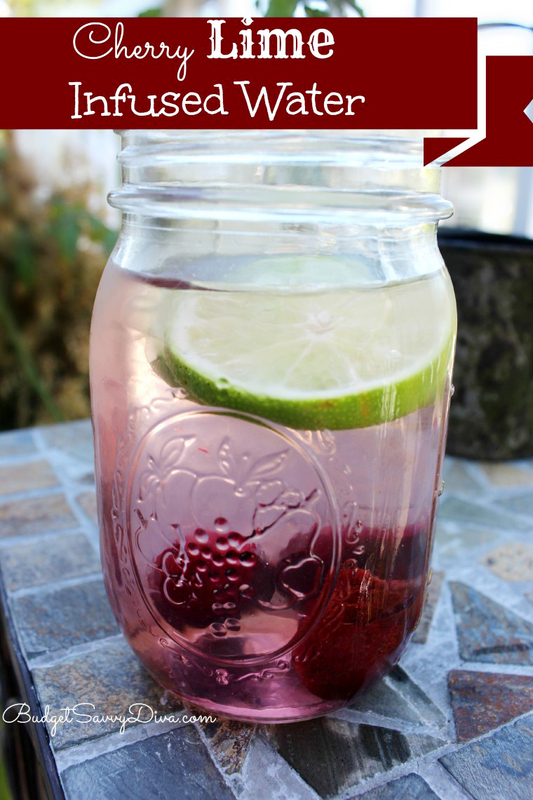 Make your way over to Stockpiling Moms to find out how to make this yummy water. 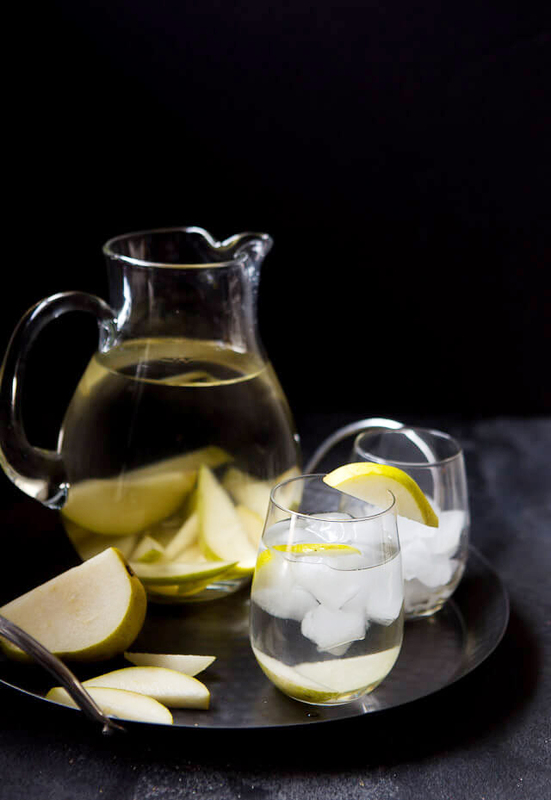 This fruit infused water is made with pear, but this time it is accompanied by a delicious vanilla flavor that is achieved by adding both a vanilla bean and a dash of vanilla extract. Head on over to A Zesty Bite to find out all the details of this fun infusion. This combination looks just as pretty as it tastes, with bits of red grapefruit floating around amongst springs of fresh rosemary. Add ice cubes to make it extra refreshing. Head on over to Wholefully to check out the recipe along with some other ideas. 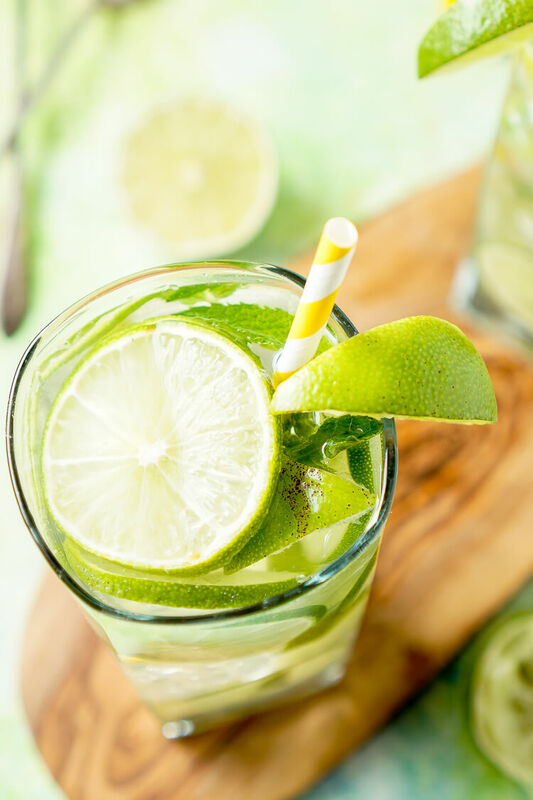 And last but certainly not least, we have a gorgeous green mojito water recipe which will make you feel like you’re on vacation on a tropical island. All you’ll need is lime, mint and water. Head on over to Sugar & Soul to check out all the details.